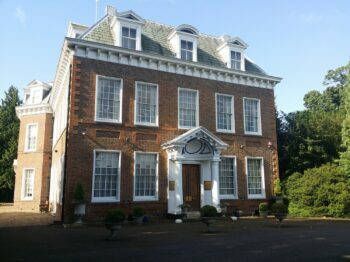 Based in our offices at Houghton Hall, The Chamberlain Group prides itself on delivering a personal professional standard of service from the day an initial enquiry is received right through to the day we hand over the keys to your smart new business premises. Today, the Group’s portfolio includes start up units and offices, business centres, commercial estates, shopping parades, land and farms with the focus mainly being in Bedfordshire and north Herts. We can offer you the chance to move ahead and start a new business in your own office or unit or, for more established operators, a chance to expand into larger premises which can often be configured and customised to suit your own needs. 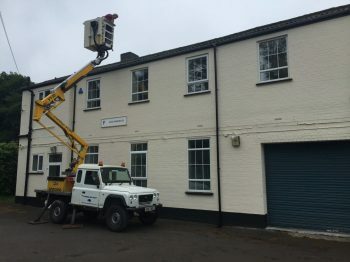 Whether you are looking for a small 2 person office or are now able to think about expanding into larger commercial premises we will be pleased to accommodate. Once you have found your ideal property we are keen to maintain that personal service. All our properties are managed in-house so any queries can be directed straight to your landlord and not a managing agent! Give us a call today to talk through your requirements. If we haven’t got the right property for you now and you can wait a while, we are always happy to contact you when the right property comes along. The Chamberlain Group, founded by Edward Maxwell Chamberlain (our CEO’s father) has been established for, and working with, local industry for over 50 years. Our maintenance manager Daniel Jimbu oversees the in-house facilities management and landscaping teams and ensures that repairs and maintenance on our properties are undertaken in a timely and considerate manner. Maintenance queries and repair requests from our tenants are dealt with quickly and efficiently without the need to go via managing agents and Daniel and his team personally oversee the work undertaken. Health and safety inspections for our properties are carried out on a regular basis with the aim of ensuring that risks are minimised and matters requiring attention are brought to our attention and dealt with promptly. Fire alarm tests are undertaken weekly on all multi-occupied properties. We also want our premises to look nice as well as be safe and in good condition. Where possible we aim to ensure that all exterior areas are landscaped to provide pleasant and welcoming communal space. The majority of our properties are covered by CCTV which is monitored from a centralised security division office. 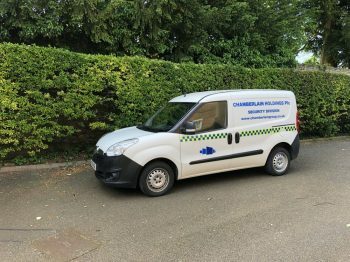 Our security officers Paul Robinson and Ray Arnold regularly visit each property and are on hand to deal with any concerns raised by tenants. Security alarms and other installations such as door entry systems, gates, fences, and boundary walls are checked by the security team to ensure they are in good condition and operate correctly and access points in and out of our buildings and sites are monitored carefully. We maintain close links with the local police and in the event that unauthorised access and damage does occur, we make sure that any claims under the building insurance policy are handled swiftly by the loss adjusters. Our emergency telephone number is available for use 24/7 so tenants know they will get a response when they need it most. Directions for our Head Office at Houghton Hall.